We host fantastic birthday parties in Blackpool. Brilliant Birthday Parties Are What We Do Best! Birthday parties in Blackpool don’t get any better than this! 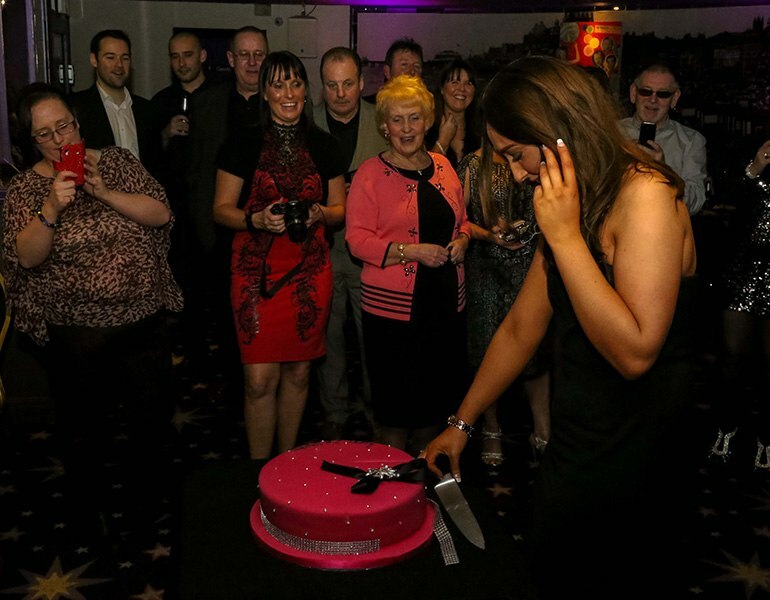 We love a great party here at Viva, so there’s nowhere better to hold your birthday celebration than with the best party place you’ll ever visit. Whether you’re looking for a private party room, or you’d like to reserve a table for one of our special shows, birthdays with us are always spectacular. It’s sure to be a special celebration in great surroundings. With brilliant service, facilities, and a wide range of upgrade options to customise your party booking, you’re guaranteed a great time at the right price. Better yet, you’ll be situated in a fantastic location in the heart of Blackpool. Only a stone’s throw away from some of the UK’s most iconic landmarks, your birthday party will be complemented not only by our fantastic service but the local amenities as well. Have A Great Birthday Bash! We pull out all of the stops to put on a spectacular birthday do, no matter what your interests or age. We often find most parties want to cut loose and have a fantastic time on the dance floor with great food and drinks, which are two of our specialities! Don’t forget, age is never a barrier to the fun! We host parties for all ages – whether it’s an 8th, 18th, or an 80th birthday party, there are options available for all tastes and budget from children’s party packages, to private room hire, or a group show booking. We’ll look after everything from start to finish, whether you want an all singing all dancing party or intimate get together with fine food. We’re also versatile, so if you have any special requests we’ll go out of our way to tailor your birthday party to exactly the way you want it.